New semi-transparent solar panels from Sharp allows you to see through. 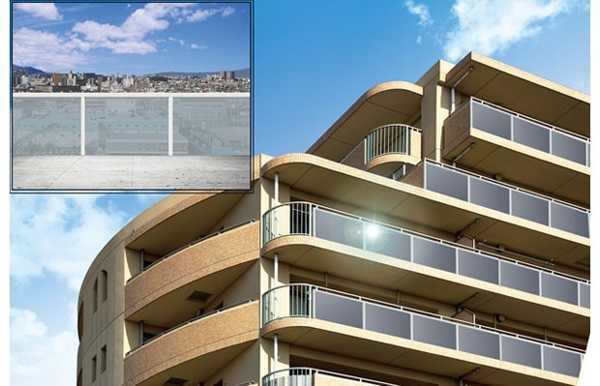 Greatly improved green design of eco friendly solar panels let you install them on your balcony and reap their benefits even if you live in an apartment building. 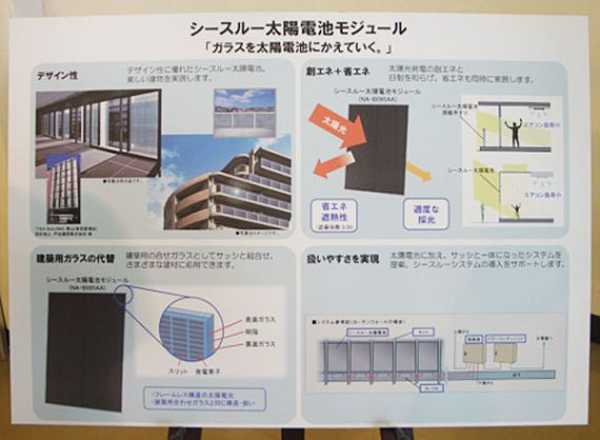 Sharp has announced an unusual photovoltaic panel for the Japanese market that collects energy from the sun while still allowing the light to shine on through. 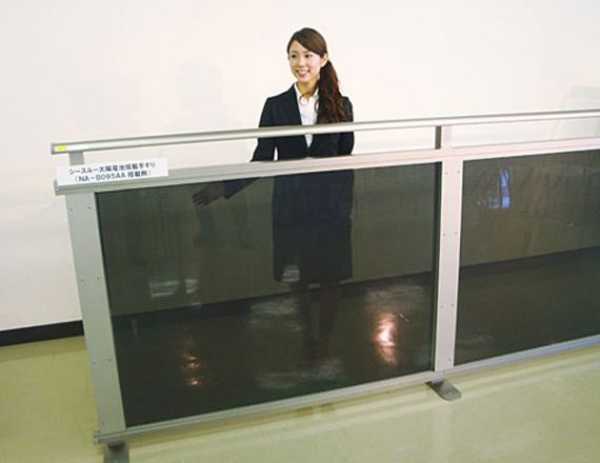 Though it’s rated at a lowly 6.8 percent / 95 watt max efficiency, the glass-like appearance make it more convenient and useful as a construction material for green building. While the low conversion rate seems lackluster comparative to the 10- to 20-percent efficiency standard these days, few see-through solar panel options exist commercially. Overall panel size stands at 4.5-feet wide by 3.2-feet tall and sports a super thin profile of only 0.37 inches. New semi-transparent solar panels look great in the balcony railing. Their unique design and semi-transparent nature dive occupants privacy and energy saving green design that is decorative and stylish. The energy-producing cells are embedded in a laminated glass structure and an air slot provides a thermal barrier, allowing these solar panels to be used as windows, curtain wall and eaves, according to Sharp’s PR. Sharp press release notes that the module, which also acts as a heat shield, mostly consists of laminated glass infused with photovoltaic cells. 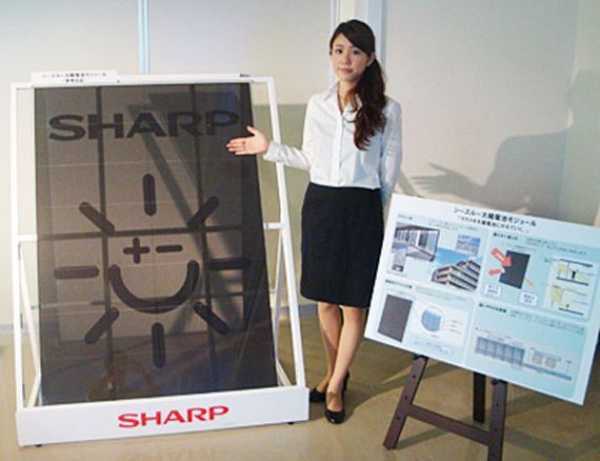 Sharp did not announce plans for a U.S. debut of this nifty panel, nor did the company reveal pricing. Though the system won’t win any potency prizes, it has garnered a design award in Japan.